Throughout 2016, the Turnbull government has been following through on plans to boost innovation in Australia, as blueprinted in last December’s innovation statement. As we mentioned in a previous post, last month the government introduced new tax laws for start-ups and investors. Now, to further encourage innovation and growth among businesses, Australia plans to reform its loss tax rules. The Australian Treasury released a draft legislation seeking to amend the existing “same business test (SBT)” clause and to make it more flexible by including a “similar business” test provision. In specific, the Draft Bill amends the Income Tax Assessment Act 1997 and the Income Tax Assessment Act 1936. 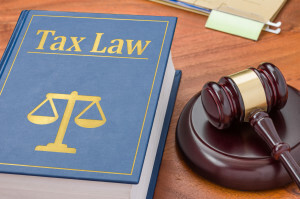 Under the current rules, a company is entitled to use past year losses to reduce taxable income, as long as it conserved the same majority ownership from the time the loss was made until the time it is utilised (the “continuity of ownership test” (COT)). Where the majority ownership has changed, past year losses may still be accessed if the company passes the SBT. The SBT permits a company to use losses from past years to reduce taxable income if it has conducted the same business from the time the COT was failed until the time the past year loss was utilised. During this period, the company cannot enter into new types of transactions or business activities. In contrast, the new amendments intend to remove the “no new transactions or business activities” aspect of the SBT. A company would thus be able to access past year losses where it satisfies the current requirements of being the “same”, whether or not it has also commenced new business activities or entered into new transaction types. The projected “predominately similar business test” would allow companies that have adapted and changed their businesses as their environment changed to continue to access prior year losses as a tax deduction. Furthermore, the Draft Bill notes that the old regulation rules are discouraging companies which made losses in the past from pursuing new investors or exploring profit-making activities – fearing that they will lose access to past years’ losses. Indeed, the existing same business test is limiting and can result in the stifling of innovation to ensure that existing losses remain available. Hence, any changes to liberalise the same business test could indicate a positive change for the economy and for taxpayers. In summary, the main amendment these new rules seek to change is the word ‘same’. As the government notes, “same does not been similar…the inability to utilise losses where a company has entered into new types of transactions or business activities inhibits a company’s ability to grow.” The government further added that the old rules are discouraging companies which made losses in the past from seeking new investors or exploring profit-making activities fearing that they will lose access to past years’ losses. What do you think, will liberating the same business test assist in boosting innovation in Australia? Swanson Reed is a specialist R&D tax firm and has helped many clients across a diverse range of industries. Contact us for more information on how we can advance your company’s market value and boost its bottom line through the Research and Development Tax Incentive.